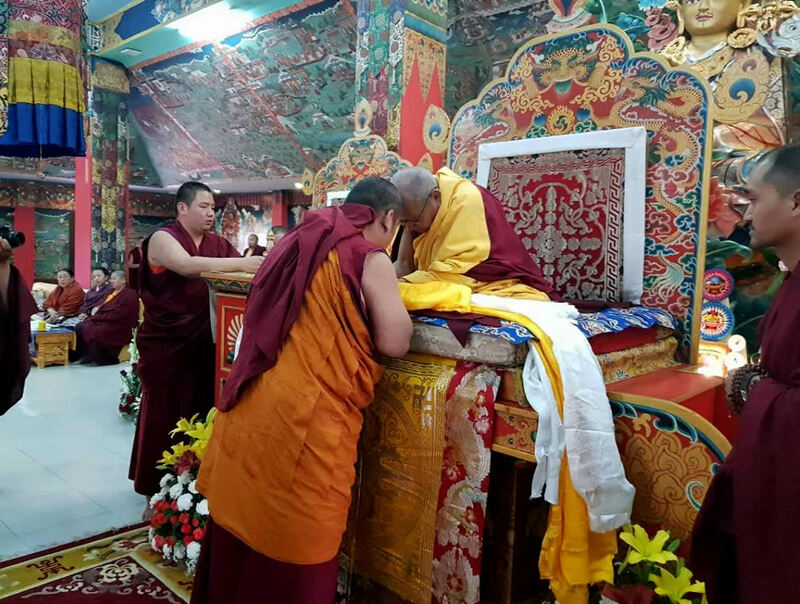 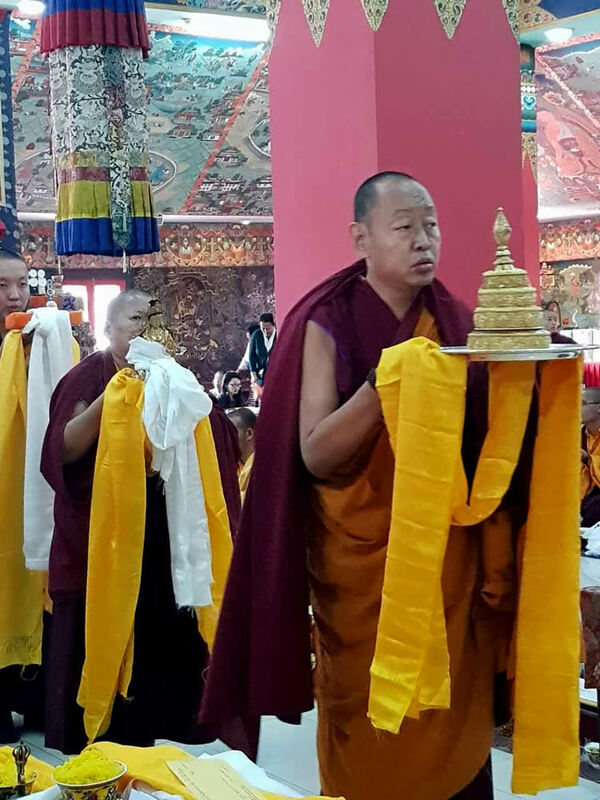 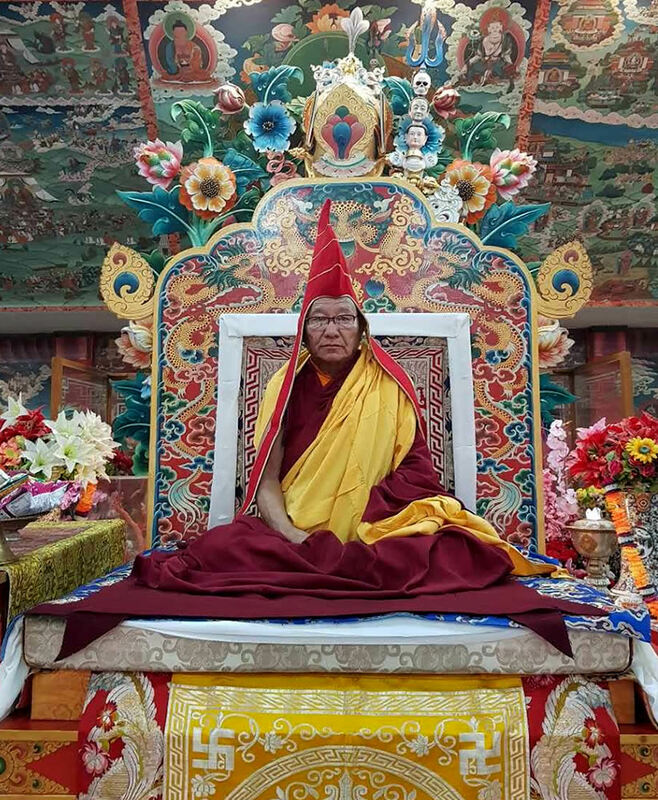 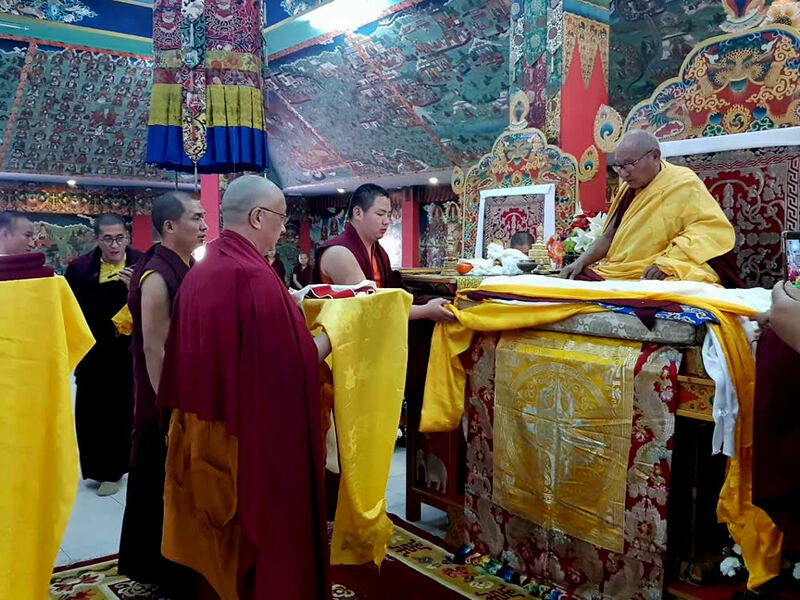 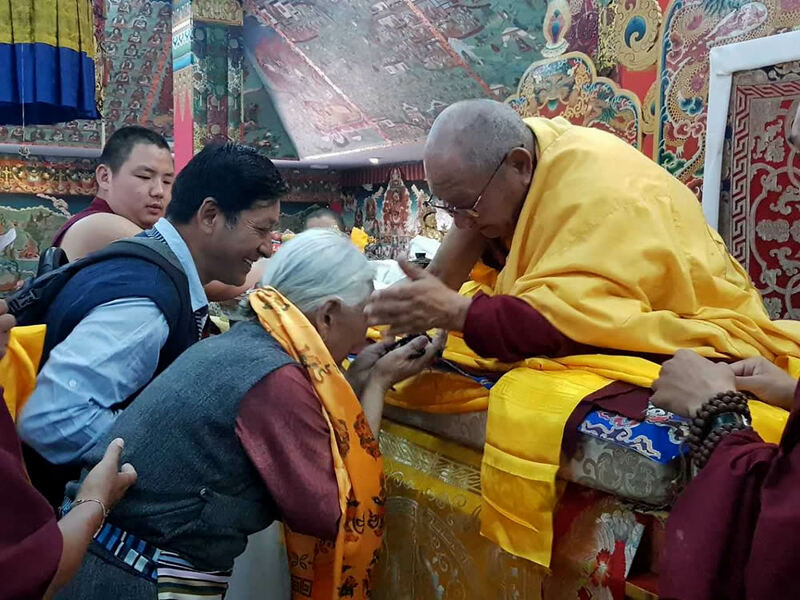 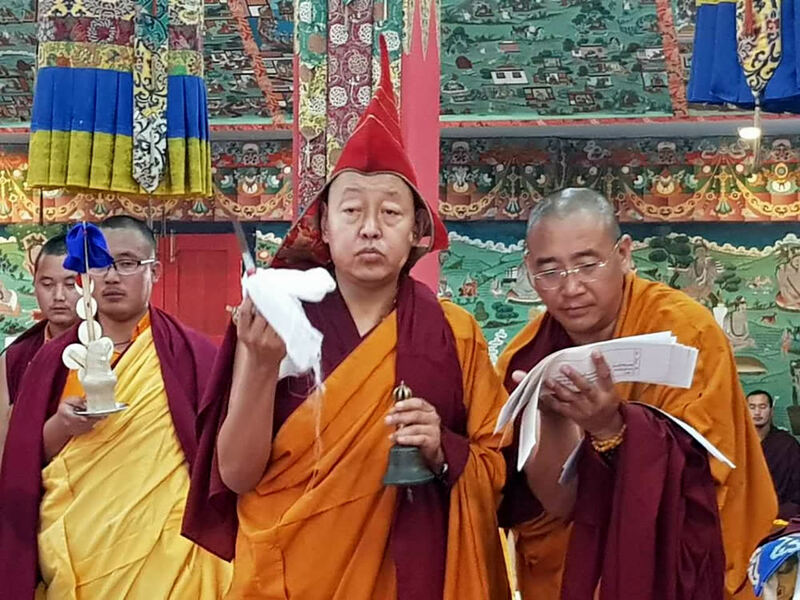 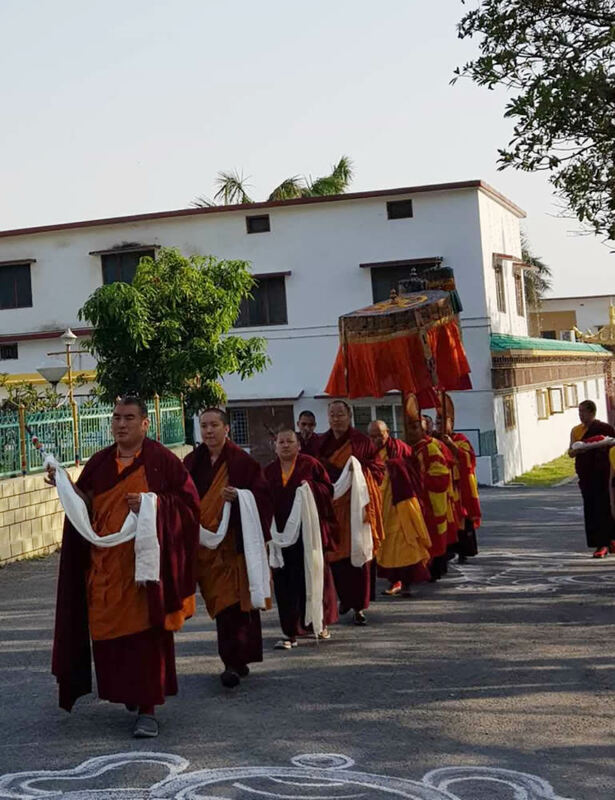 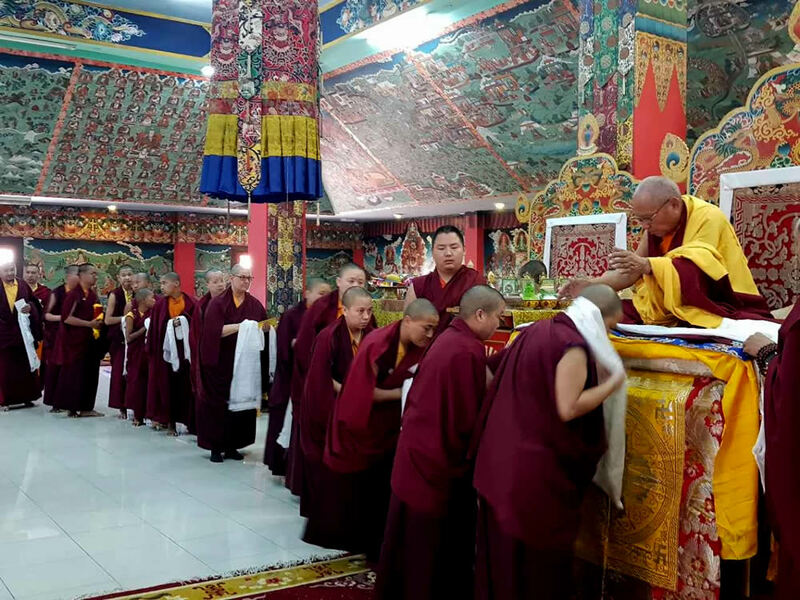 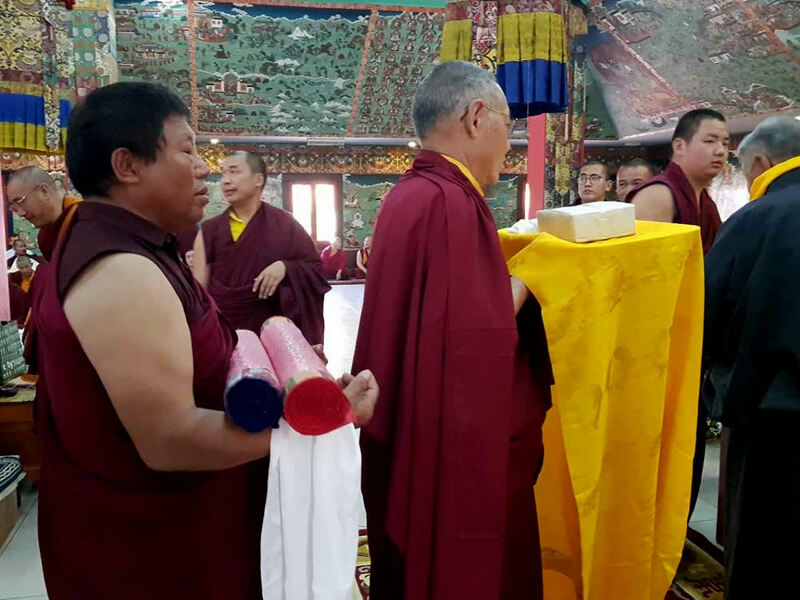 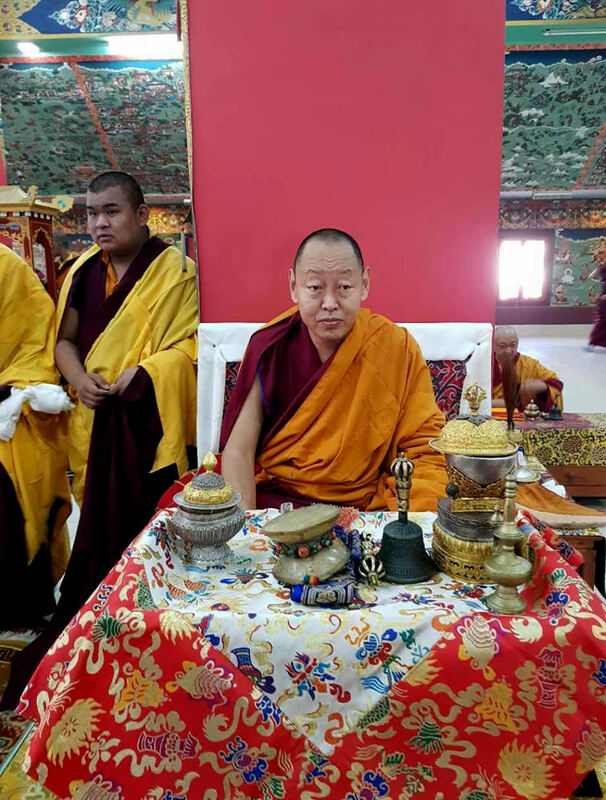 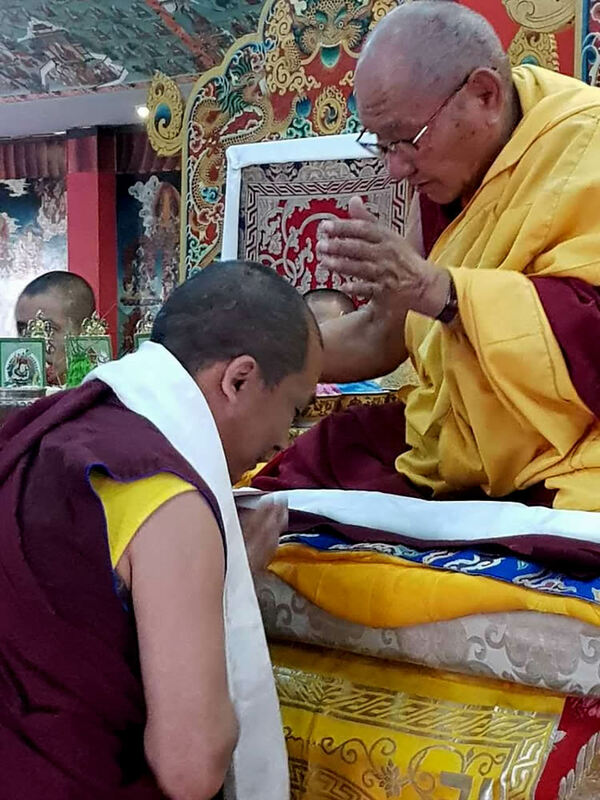 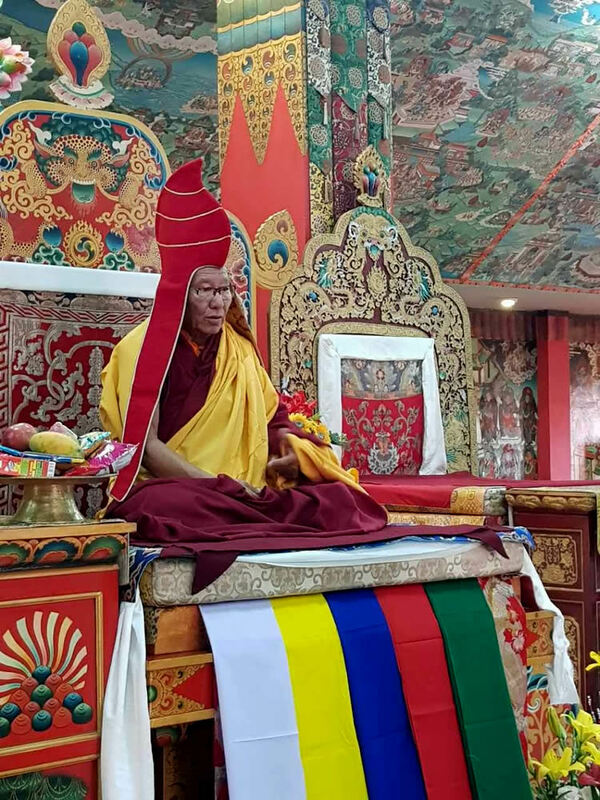 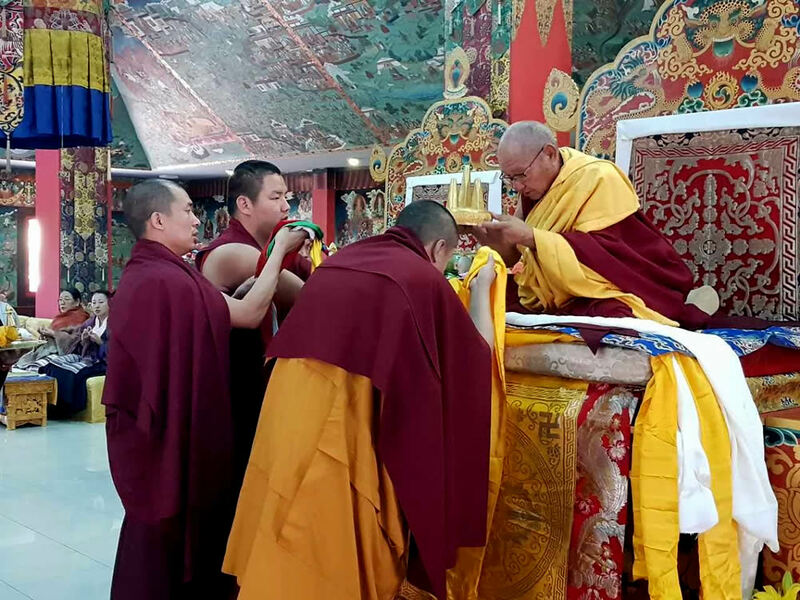 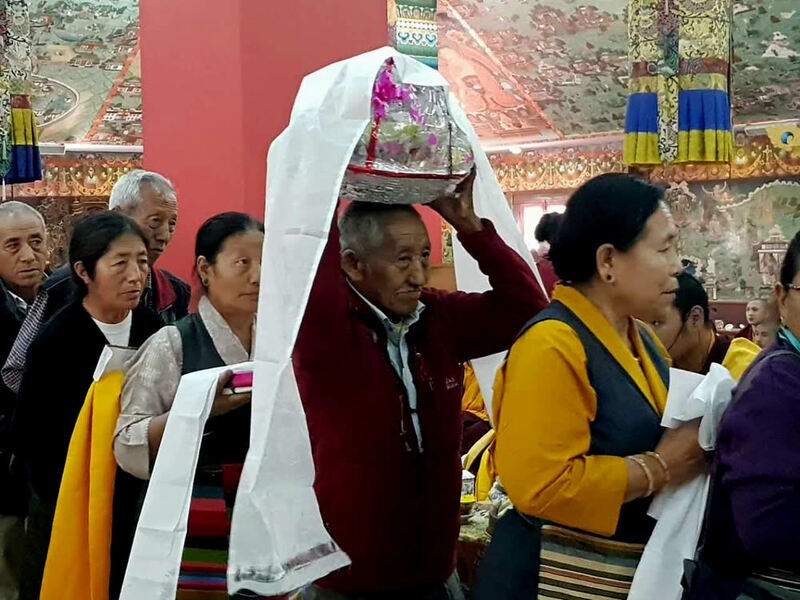 It was with immense joy and gratitude that the entire Mindrolling Sangha and residents of Dhondupling Settlement offered a tenzhug (long-life ceremony) to His Eminence Khochhen Rinpoche on the 29th of March 2018. 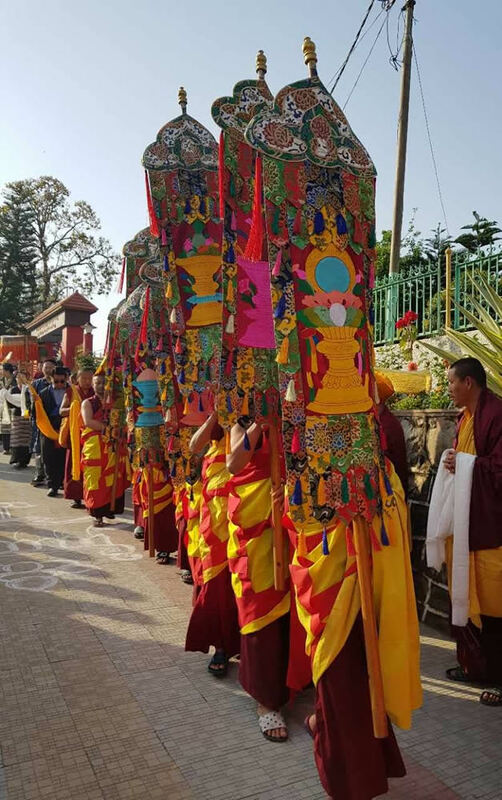 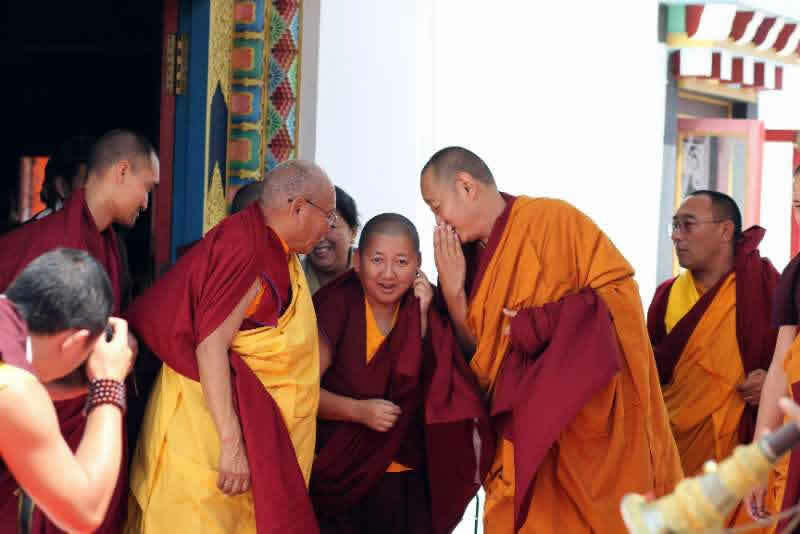 Presided over by Their Eminences Khenchen Rinpoche, Jetsün Khandro Rinpoche and Penam Rinpoche, and joined by an august gathering of rinpoches, khenpos, monks, nuns, dignitaries and lay people from all over, the long-life ceremony was offered to Khochhen Rinpoche in accordance with the ritual of Chimed Yangnyi Kündü. 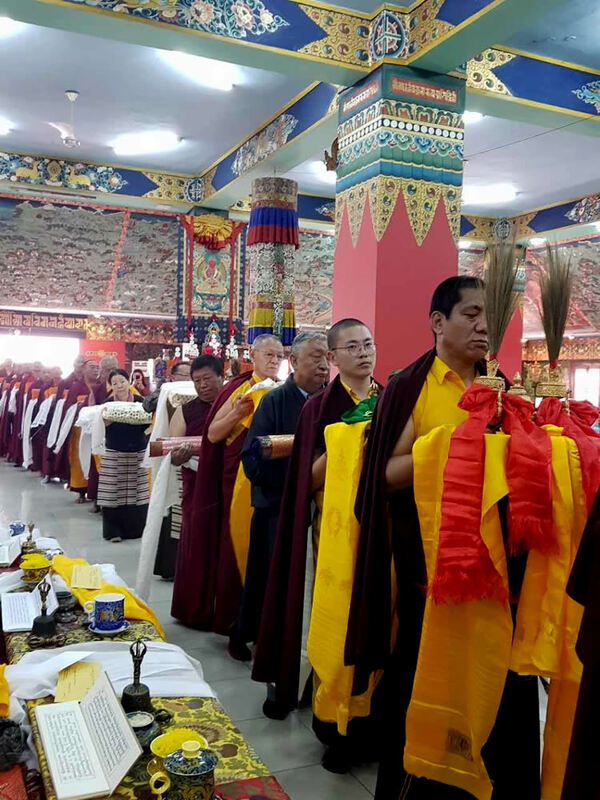 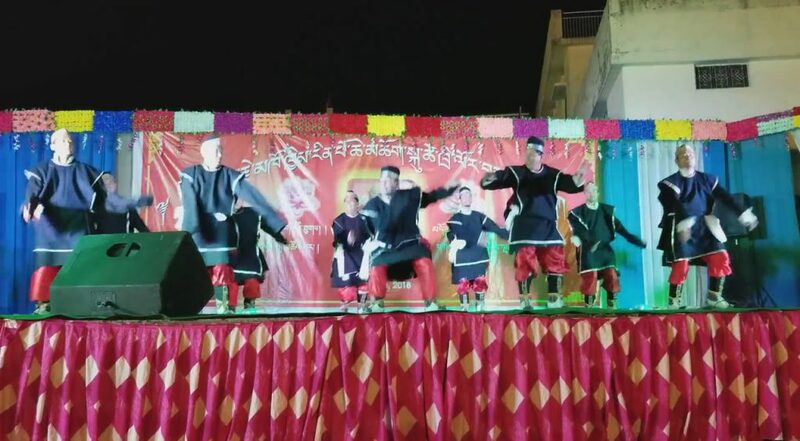 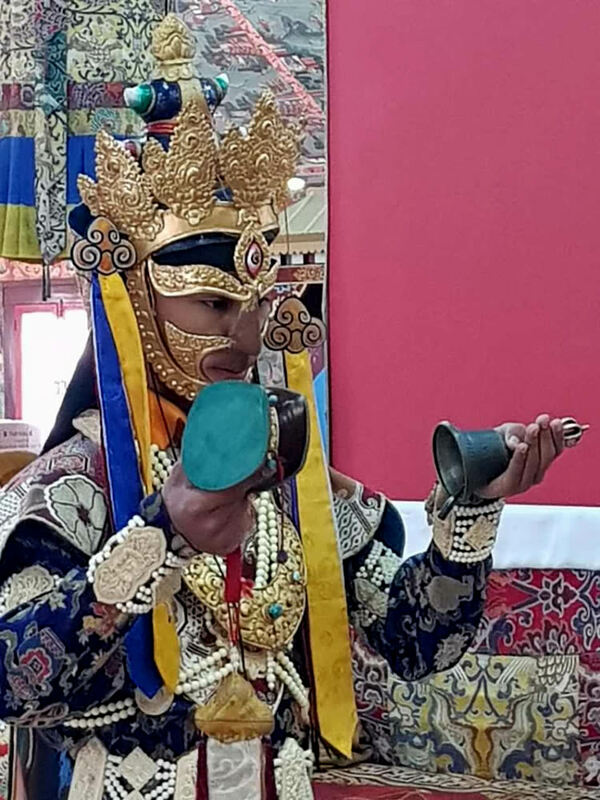 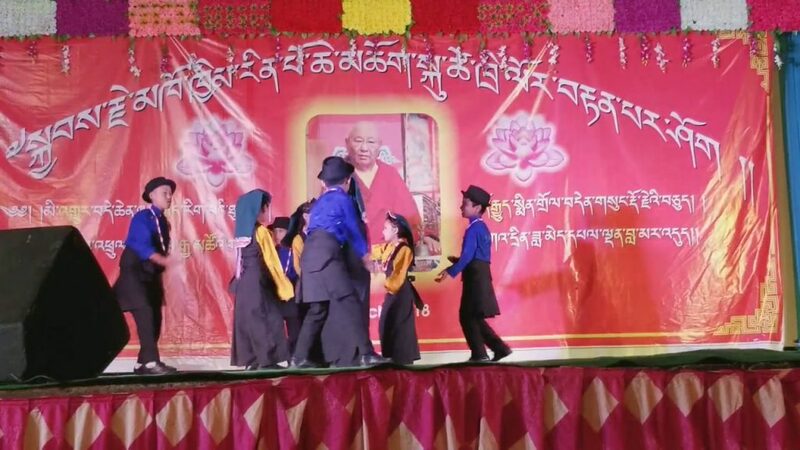 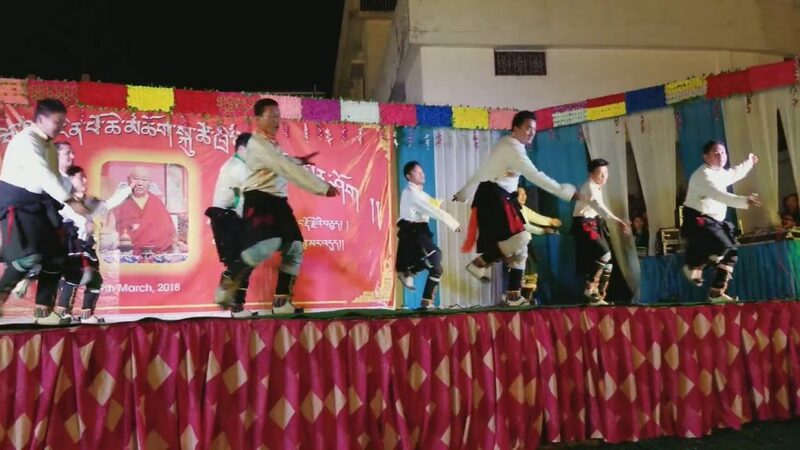 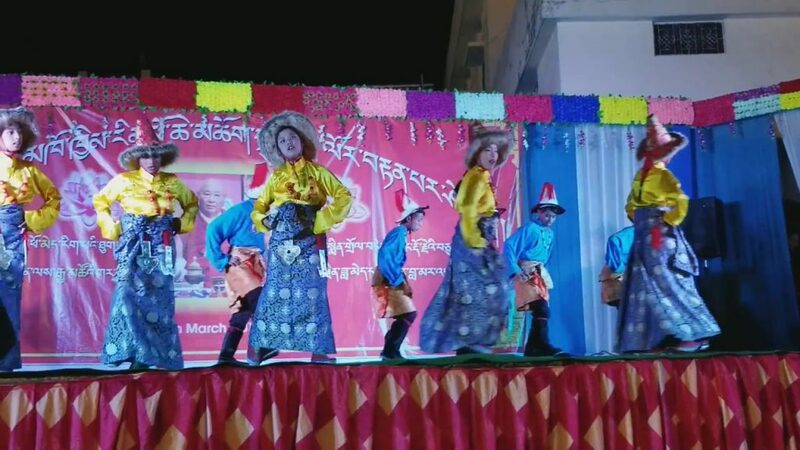 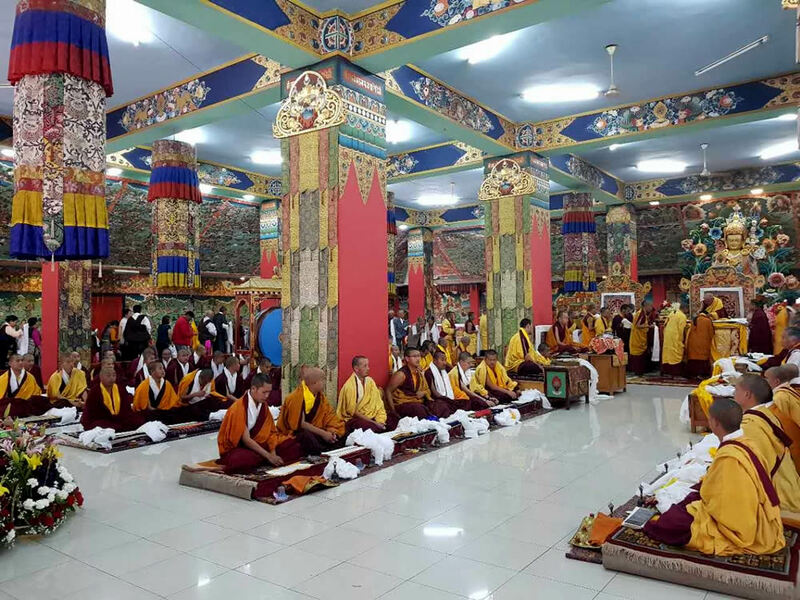 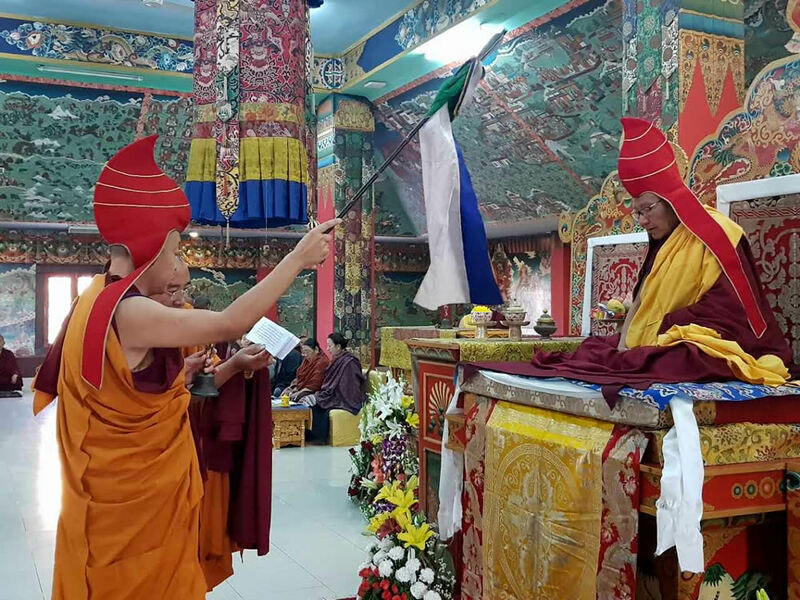 This auspicious ceremony was followed by brunch for all participants.In the evening, the joyous occasion was further celebrated with an offering of traditional Tibetan dance and music program followed by an elaborate dinner offered to the over 1500 attendees. 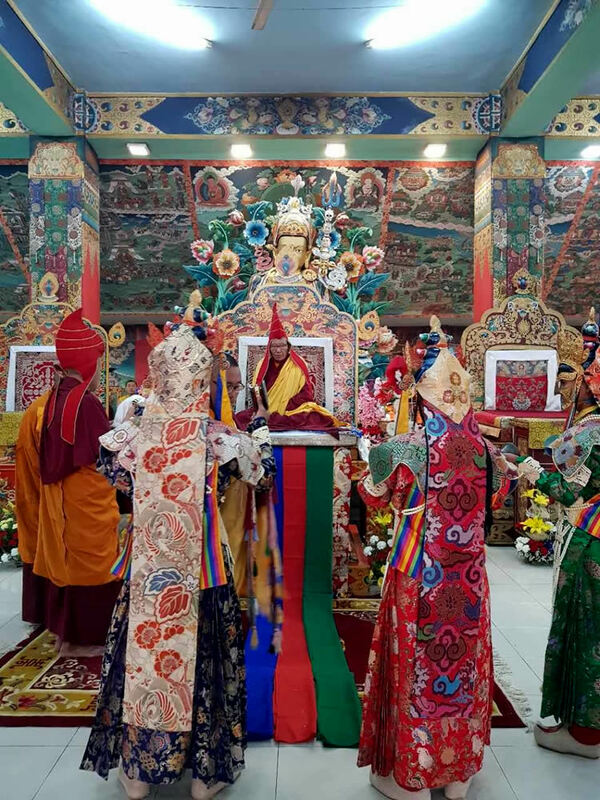 Click on any photo to see an enlargement or to begin slide show.